This episode features the first chapter of the mystery novel "Murder at the Driskill" by Kathleen Kaska, and read by local actor Casey Ballard. In each episode we share with you mystery short stories and mystery novel first chapters read by actors from the San Joaquin Valley. You can learn more about Kathleen's books and how to purchase "Murder at the Driskill" and others on her website. 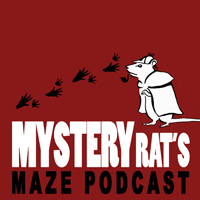 This episode features the mystery short story, "Doggy DNA", written by mystery author Neil Plakcy and read by local actor Thomas Nance. In each episode we share with you mystery short stories and mystery novel first chapters read by actors from the San Joaquin Valley. You can learn more about Neil's writing on his website. This episode should appeal not only to mystery lovers, but also dog lovers!